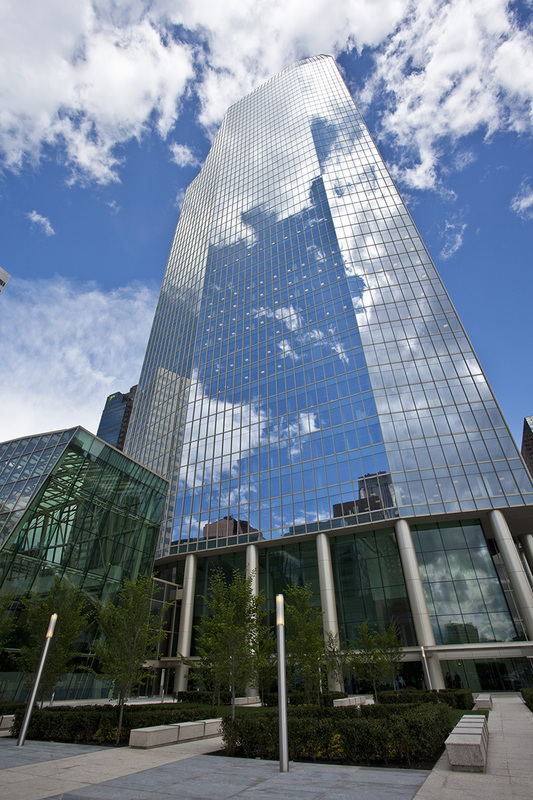 Calgary’s Eighth Avenue Place, West Tower, is a 40-storey commercial office tower built atop an existing three-storey podium. 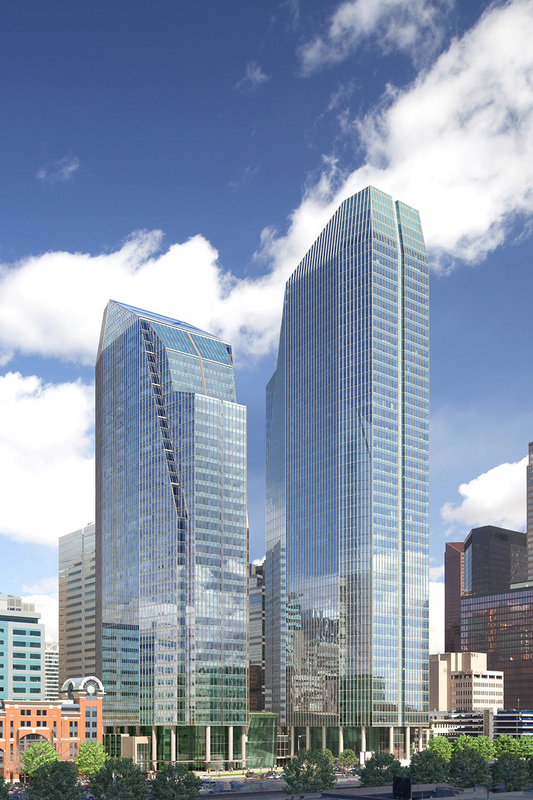 Completed in 2014, this tower is the smaller sister building to the existing 49-storey East Tower. 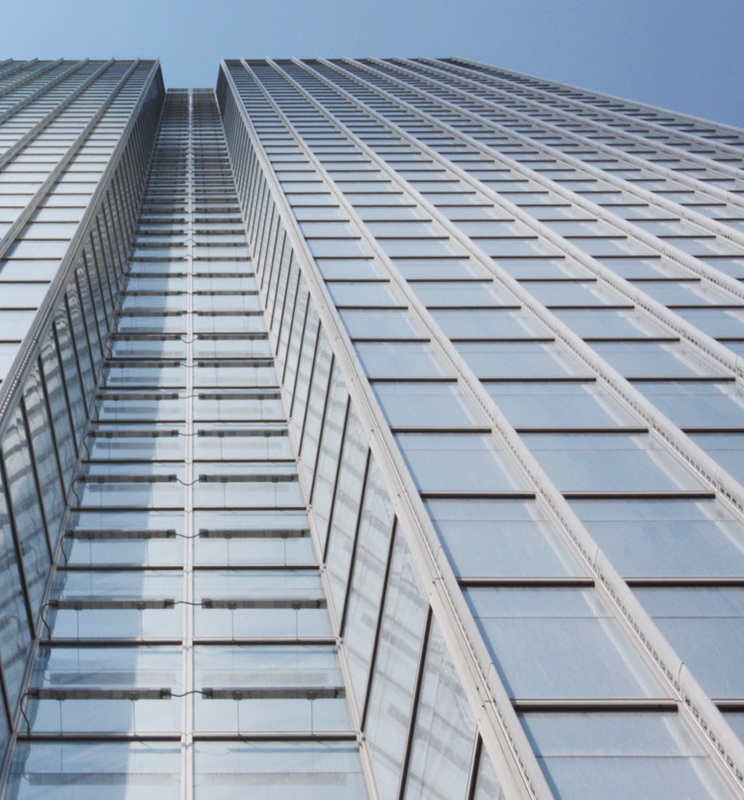 Clad predominantly in unitized aluminum and glass curtain wall, the West Tower features dramatic interconnecting slopes and angle changes both in plan and elevation. 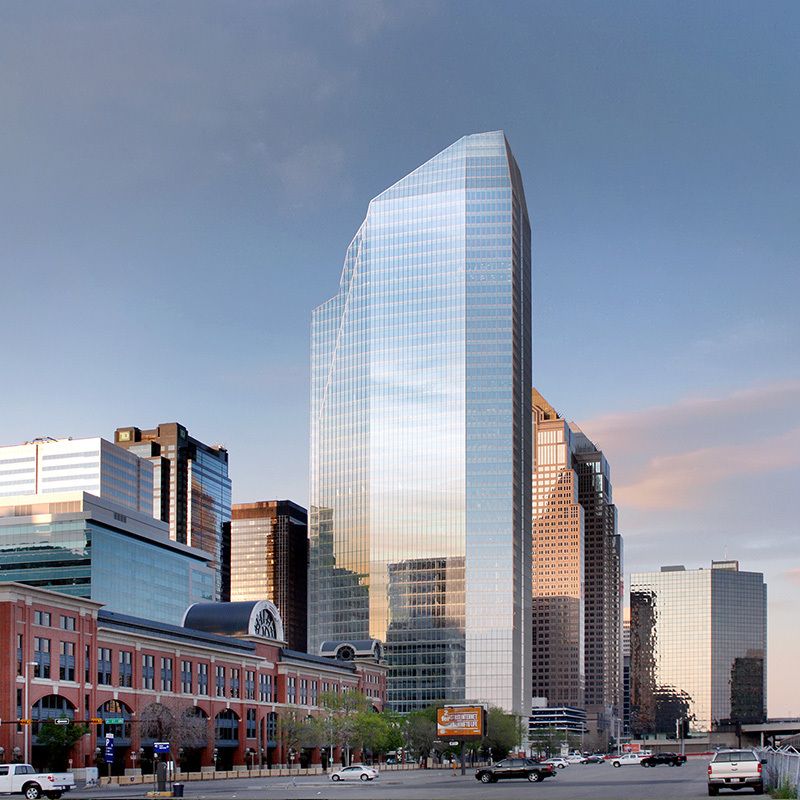 Its reflective glass, accented by a decorative vertical fin on each mullion, combines with the unique apex to the building, making it stand out on Calgary’s skyline. Challenge: The dynamic shape and angles in the design, combined with the height of the building, posed significant challenges in terms of energy performance and snow/water shed. Solution: Entuitive designed a curtain wall and overhead glass assembly that provided the required building envelope performance. We also developed sophisticated snow melting and collection systems. These systems use a unique hot water deluge system to mitigate snow collection and subsequent ice formation. To reduce the amount of snow and rainwater coming off the building, the curtain wall includes integral heat-traced gutters that drain through the curtain wall to the interior storm drainage system.